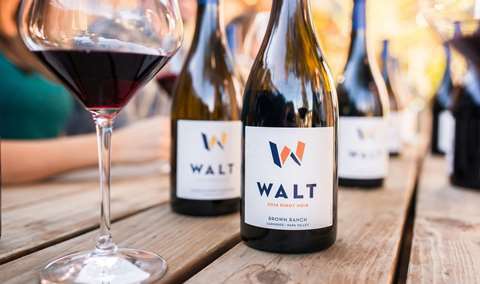 Purchase tickets online to Walt Wines on CellarPass. Cozy tasting room located right off the Sonoma square. 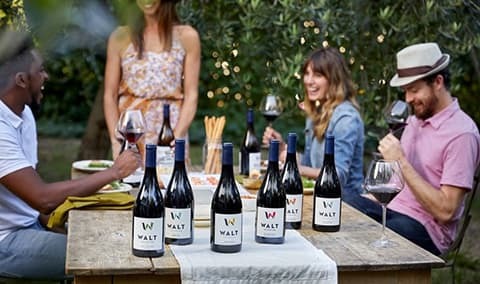 WALT Wines, owned by Vintners Kathryn Walt Hall and Craig Hall, is dedicated to the production of premier Pinot Noir and Chardonnay from the Pacific Coast’s most distinctive vineyard sites, spanning nearly 1000 miles and including Sta. Rita Hills, Sonoma County, Anderson Valley, and the Willamette Valley. 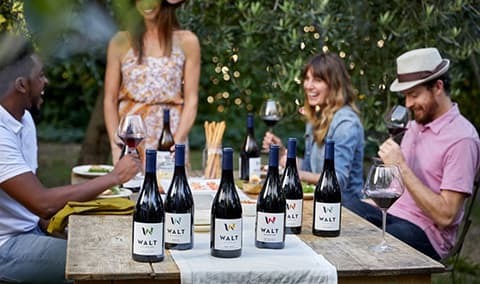 Our philosophy is that of precision, non-interventionist winemaking, thereby allowing the wines to naturally and honestly express the character of the site where the wines are grown. 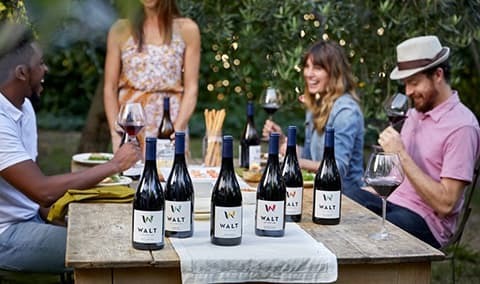 Our winemaking team, led by Director of Winemaking Steve Leveque, and Winemaker Megan Gunderson is passionate about creating compelling, delicious wines that are honest expressions of their vineyard sites. Click here to explore our craft. 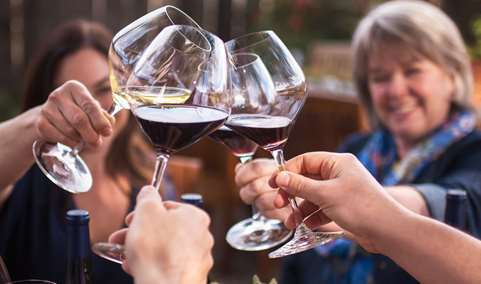 We invite you to visit us on the Sonoma Plaza and let us lead you on a delicious journey through the most expressive Pinot Noir and Chardonnay vineyards on the Pacific Coast. Our tasting room combines the warmth of a wine -country home with the inspiration of an art gallery. Steeped in Sonoma history and charm, our intimate venue is located just off the northwest corner of the Sonoma Plaza. Our door is open every day from 11 AM until 6 PM. Mile Marker Series: The Brown Ranch and the terroir of Los Carneros.